Jambeaux, everyone!!! Harambe! 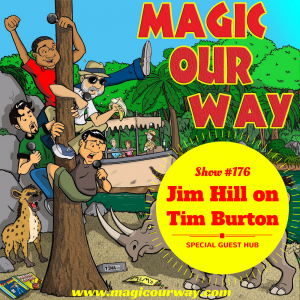 On this episode, we present the one and only Jim Hill as our special guest as we discuss Tim Burton and Disney. In the Hub, we welcome special guest, Jim Hill, to the show. 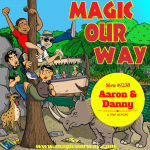 On this episode we discuss Tim Burton’s relationship with Disney and why we have yet to see an attraction based upon a Tim Burton idea. If you are any kind of Disney fan, especially if you are active in the Disney fan universe, you will know who Jim Hill is. He does a podcast with Len Testa called The Unofficial Guide Disney Dish and he is an award-winning entertainment writer. For over 30 years he has given us the history, latest news, and rumors regarding themed entertainment companies such as the Walt Disney Company and Universal Studios.